Facility managers have several options when it comes to not just reducing energy use, but also energy costs. Most facility managers know how to trim electricity costs by upgrading lighting, HVAC, and controls. But that’s just the tip of the kWh when it comes to reducing power bills and improving the organization’s bottom line. If the goal is to reduce power costs, facility managers also need to know how to reduce their average electric rate. For example, facility managers should understand how to reduce regulated tariff rates for supply or delivery and how to minimize peak kilowatt demand, monthly and annually. And facility managers should be familiar with capturing incentives and credits as well as tax breaks and securing cheaper electricity supply through subsidies, competitive procurement, and self-generation. According to Lindsay Audin, author of Lowering Your Facility’s Electric Rates, pursuing these four options could mean enjoying 10 to 20 percent in electricity cost reductions. Facility managers interested in trimming electric rates should begin by gathering all pages of the electric bill for each facility account. “Find the rate on the bill (typically an alphanumeric like SC 22) and the utility account representative’s contact information,” explains Audin. If the utility representative’s information is not visible on the bill, Audin recommends calling the number for billing issues and getting that information. Next, Audin suggests getting a word-searchable copy of the utility’s tariff, which spells out pricing for components of electric rates.” Tariffs generally can be found on utility websites or through public utility commissions (PUCs). For municipal and co-op utilities, tariffs may need to come from a city or regional agency. “If unsure, ask your account rep,” says Audin. Once the facility’s rate is identified by its number, Audin recommends reading “just the section(s) that pertain to it.” Anything that is not understandable should be discussed with the account rep or the PUC’s consumer advocate office. “To be sure your understanding is correct, re-write your rate’s tariff in common English and model the rate in a simple Excel spreadsheet. Then verify your interpretation’s correct with your account rep,” says Audin. When a facility originally signed up for electric service, the utility assigned it an appropriate rate that may not be the one yielding the lowest annual cost. The reason is that a facility needs to operate for at least a year before it’s possible to determine the cheapest rate. “While there’s no guarantee that a better rate even exists, it’s not hard to scroll through the tariff for other rates that might apply,” explains Audin. For optimum success, he suggests knowing the facility’s annual peak kW load, annual kWh consumption and its major power uses, such as water pumping or medical research. “Run through other rates appropriate for the facility’s annual kW/kWh and look for reasons each of those rates might not apply,” Audin says. The remaining rates may be worth further examination and modeling. 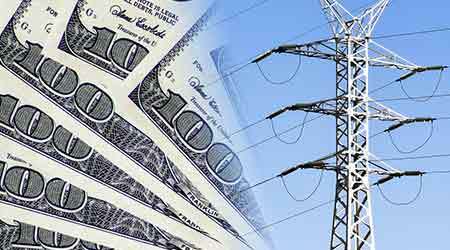 Facility managers should also consider that about 2 percent of utility bills contain at least one error. While many of these are caught and corrected by the utilities themselves with billing adjustments, sometimes they slip through the cracks. Many large customers use utility bill auditors as consultants who review bills and rates. “Be sure to read and fully understand the contract before signing,” Audin says.